Food has a wonderfully uncanny way of being a major part of life’s memories. What is life without food, after all? 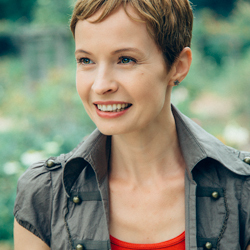 It’s there, quietly in the background, and often makes a unique impression without us even realizing it; it sustains, comforts and satiates, and even teaches us that trying something new can be thrilling and unforgettable. Certain meals have the power to take us back to specific moments in our lives, just as certain periods of life are deliciously punctuated by the foods that were discovered and enjoyed at that time. Food is so seamlessly interwoven into the very fabric of life, and it gives flavor to the experiences we take with us along the way. When I decided to share this recipe on my blog, I couldn’t help but think back to my days waiting tables. Just as so many others out there, I’ve paid my dues as a food server. My first server job was when I was 19, and boy was I intimidated when I began. Luckily for me, I had several great trainers to show me the ropes at the little café where I got my start, and my eagerness to serve and to please the customer was a big plus. After a couple of weeks and several spilled drinks onto tables and customer’s laps, I got the hang of it, and actually enjoyed the work I was doing; I liked the challenges that every new day would bring. I discovered that not all people are friendly to their waiters no matter how friendly their waiter is to them; that some people can be highly demanding, yet stingy, while others can be very low maintenance, yet extremely generous; that some people liked to talk my ear off, and some didn’t like to be looked in the eyes directly; but for the most part, I observed that people just wanted to enjoy their meal. I remember the shifts being long and often demanding, and by the end of one, I’d usually be famished. I would joyfully anticipate clocking out, taking my tie off (yes, I wore a tie—female servers in particular really appreciate that, by the way) and ordering a meal off of the menu at half price—nice bonus. I’d almost always get a baked potato stuffed with grilled vegetables (these potatoes were gi-normous for some reason), and then I’d go home, tummy filled and with a few extra bucks in my pocket. Ah…the lean years of my late teens and early twenties, waiting tables… It all seems like a lifetime ago at this point, and I guess it sort of is. Does that date me? Geesh. 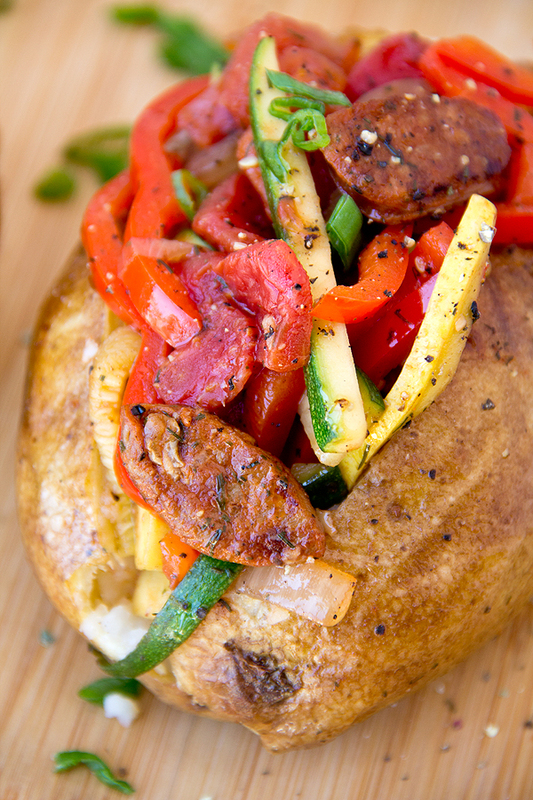 Over the years, I’ve used only my memory as a guide when preparing this baked potato stuffed with grilled vegetables and smoked sausage that I was so comforted by during my run working at that little café. At the time, it never occurred to me to ask one of the cooks for the recipe—I never anticipated that I’d want to re-create something that reminded me of an old job, frankly! But I actually prefer that I’ve created my own version out of reminiscing just a little about the old days. This stuffed baked potato may be a bit different from what I had all those years back, but it’s close enough; it still brings back a taste of that period of my life, and funny enough, it still comforts me just the same. -Preheat the oven to 400 degrees; place the russet potatoes into a small bowl, and drizzle the 1 teaspoon of olive oil over them, and rub onto the potatoes; using a fork, stab each of the potatoes a few times to allow the steam to escape while they bake; once oven is ready, place the potatoes directly onto the middle rack of the oven, and bake the potatoes for about 50-60 minutes, or until tender when pierced with a paring knife; while potatoes bake, prepare the grilled vegetable and chicken sausage filling. -Place a large grill pan (or you can even use a large skillet/pan if desired) over medium-high heat and allow to become very hot; once hot, add the 2 tablespoon of olive oil and the sliced chicken sausage and red onions; using tongs, gently toss the sausage with the onions until they begin to brown, for about 2-3 minutes; next, add the sliced mushrooms, and allow those to lightly brown; next, add the garlic, and once the garlic has become aromatic (about 20 seconds), add in the red bell pepper, the zucchini and yellow squash strips, and toss all together in the pan allowing for the vegetables to grill/become lightly browned, about 2 minutes; next, add in the diced tomatoes with a little of their juice, the dried dill, and the ½ teaspoon of salt and ½ teaspoon of pepper; toss with the tongs to incorporate, and cook for about 2 more minutes; turn off the heat, and set aside while you finish baking the potatoes and prepping them for serving. 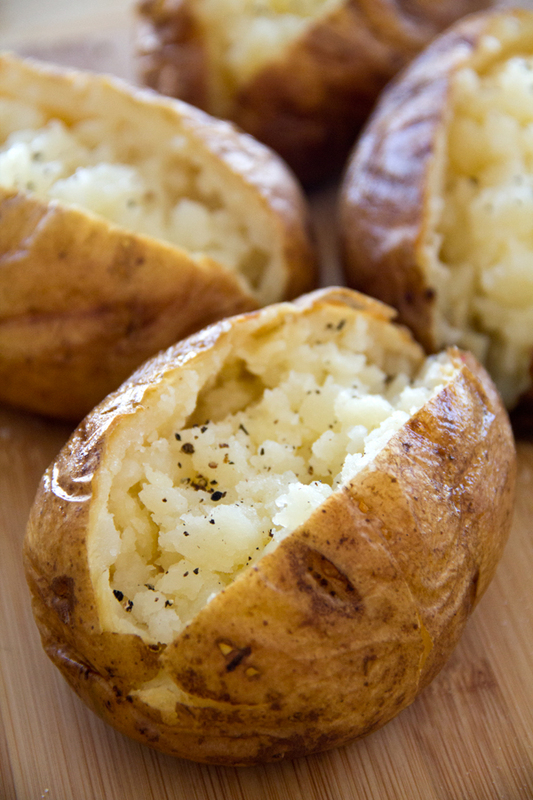 -Once potatoes are baked, remove from oven and allow them to cool slightly so that they can be handled; once they’re cool enough to handle, make a length-wise slice into the middle of each baked potato to open it, and using a fork, gently fluff the inside of the potato, getting as close to the skin as possible, to loosen the “meat” of it up; next, add a pinch of salt an pepper to the inside of the fluffed potato, and even an extra drizzle of olive oil, if you wish. 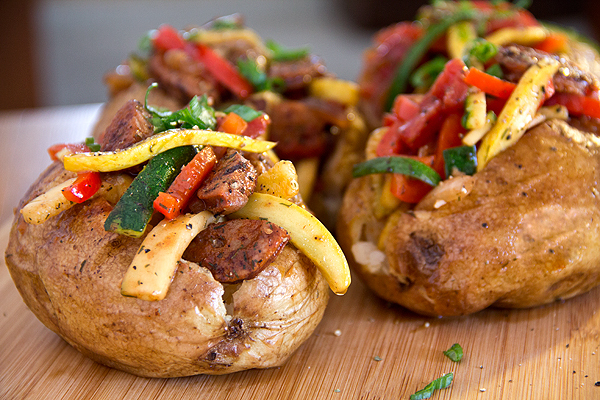 -To finish the dish, scoop a generous, over-flowing portion of the grilled vegetable and smoked chicken sausage mixture right into each of the baked potatoes, stuffing the mixture into the baked potato well, and plate; garnish with a sprinkle of chopped green onion. Hey Ingrid! Thanks so much for posting this. Coincidentally, it was JUST the inspiration I needed for the food for my husband’s birthday dinner! Hi Hope, my pleasure! And you know what’s kind of funny? When I thought about posting this recipe, I actually imagined a wife preparing this for her hubby. Hope you and your husband had a happy celebration of his birthday, and I hope you both have a blessed day, as well! Thanks again for being an inspiration. I’ve been following your blog for a couple of months via email and am always happy to see the excellent (mouth watering!) photography and to read your stories. I started my own food blog a few months ago and find the style, format, and flow of your blog very helpful towards maturing my own! Yum! I love potatoes and usually stick to the same couple of recipes. This looks like an interesting new idea to try! 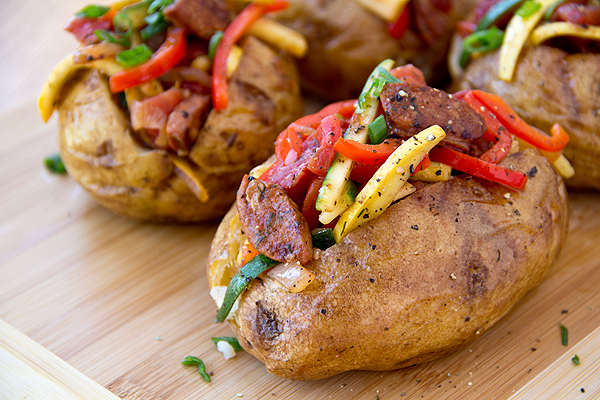 we do a baked potato bar every once in a while… never thought to serve a stuffed potato! thanks for the inspiration, made for an excellent dinner tonight! My pleasure, so glad you enjoyed your din! Hi Sheila! What a great idea to try out a new and different recipe each night of the week – I’m thrilled to have had these veggie-stuffed potatoes be a part of the rotation! 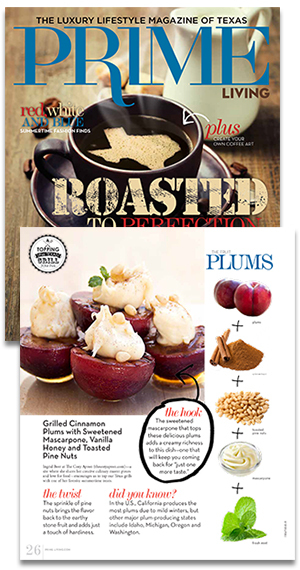 So happy that you and your hubby enjoyed these; they’re so colorful and healthy, perfect for this time of year. Thanks for your comments! Thanks for this smart recipe, can I replace the potato with eggplant? Hi Hamza! Eggplant sounds exquisite with this, but obviously the texture with be quite different from a baked potato. It’ll be a unique twist, for sure! Hope you enjoy. This sounds delish. Instead of chicken sausage can I just use Italian sausage links? Hi Jacque, absolutely—feel free to use what you prefer!